What is the purpose of the Heavy Duty Pallet Truck Scale? You can get all the benefits of a heavy duty pallet truck in addition to the benefits of a high-quality pallet scale with the all-in-one Heavy Duty Pallet Truck & Scales. Do not let the compact, low profile design of this pallet truck deceive you. It has a lot of power. 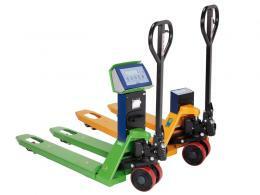 The Heavy Duty Pallet Truck Scale can hold up to 2000kg of weight. You can get everything you need from a pallet truck and more with this fantastic model. The Heavy Duty Pallet Truck Scale was designed to be a multi-functioning pallet truck that can be used in just about any setting. While it works perfectly for the traditional warehouse or factory, it can also come in handy in a sorting facility, home improvement store, or other work environment where pallets are frequently in need of transportation. 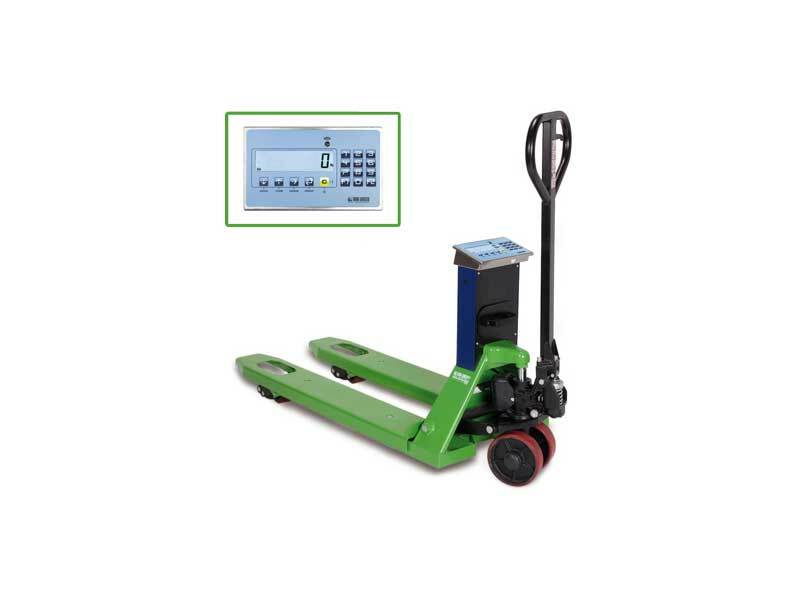 If your staff is tired of trying to transport and weigh your materials on various machines, then the Heavy Duty Pallet Truck Scale is the ideal option. It is a simple yet powerful pallet truck that your staff will love. Once you experience how easy and productive work is with this pallet truck, you will wonder how you ever got by without it. 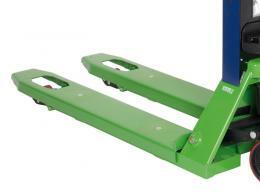 The low profile of the Heavy Duty Pallet Truck Scale features a fork height of 85mm that can reach up to 200mm. It also includes a waterproof IP65 LCD display, which keeps it protected from dust and water, and has a multi-range readout. Enjoy the zero, gross/net, total weight, peak, and hold functions of the scale and the auto-off function that conserves battery. 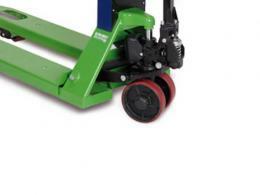 This pallet truck comes with rubber steering wheels and polyurethane rollers. Our free delivery and price-match guarantee mean you can get your pallet truck in two to three days at the lowest possible price. We also provide a one-year warranty for parts and labour.